Volt Absorb: The Pokémon heals up to 1/4 of it’s maximum Hit Points when hit with Electric-type moves. Illuminate: Raises the likelihood of meeting wild Pokémon. Water Absorb: The Pokémon heals up to 1/4 of it’s maximum Hit Points when hit with Water-type moves. Their lights can shine as brightly as a full moon. They have also been known to help lost sailors find there way back home. Must eat a good amount of Coral. The amount differs from Lanturn to Lanturn. 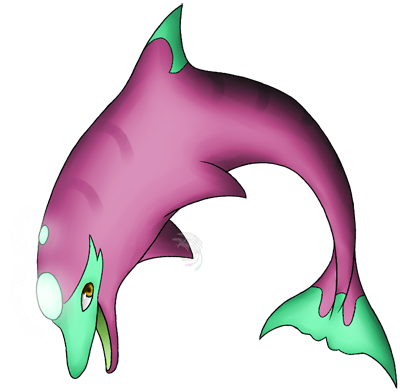 Liphin mostly lives deep under the sea in the hard to see places, coming up ever so often to breath. Thanks to its light it can see even in pitch black. Sometimes on full moon nights, groups of Liphin will gather near the surface and jump out of the water, there lights glowing brightly as they sing to the moon. They can be a little aggressive at times, but not so much that they would out right attack for no reason.